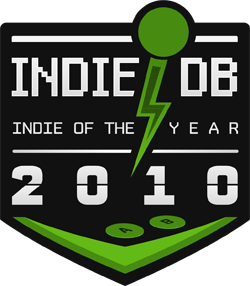 IndieDB announced the top 100 players choice indie games of the year 2010 yesterday. After a very exciting phase 1 with tons of content posted over there at IndieDB, the organisation decided to expand the top 50 indie games to a list of 100. 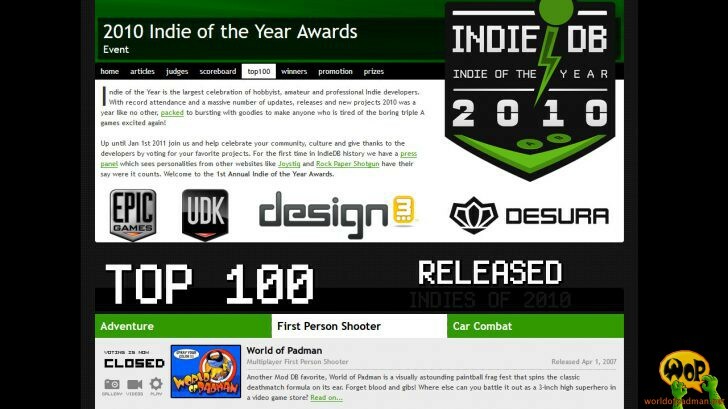 Because of your votes we made it into the list top 100 released indie games this year. Thank you so much for that. You can find us there in the First Person Shooter category. Now the awards continue with phase 2, nominating the top 10 until December 14th, 2010. This is your chance to nominate us, so just click the link below and make your vote.